Bale Press Strapping is polyester hotmelt strapping with a reduced outer coil diameter to fit bale presses. This strapping will not tear or fray and can be re-tensioned with heavy duty steel buckles if the product settles or moves in transit. Hotmelt Polyester has a higher break strain and system strength and can therefore be used on heavier loads. This form of strapping is stronger than light-grade steel and is non-toxic and neither corrodes, rusts, nor strains, and is also resistant to UV and other weather conditions. Bale Press Strapping also has no sharp edges and will not damage your products or forklift. 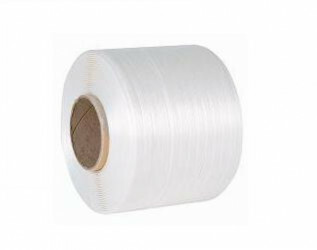 This strapping is available in coil widths of 9mm and 13mm.